A complex Japanese gin with refreshing yuzu citrus top notes and a spicy shansho pepper twist. 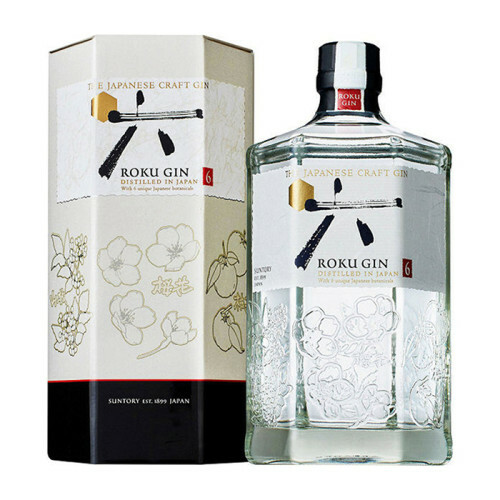 Roku means 'six' in Japanese and refers to the six local, seasonal botanicals which complement eight traditional gin botanicals (juniper berries, coriander, lemon peel, etc) and give this spirit a distinctly Japanese character. The Japanese botanicals are: sakura flower (cherry blossom), sakura leaf, sencha tea, gyokuro tea, sansho pepper and yuzu peel. Try serving this in a gin and tonic with a ginger garnish, which accentuates the citrus notes. Taste: Complex, multi-layered, yet harmonious flavour of various botanicals. Traditional gin taste in the base, plus characteristic Japanese botanical notes with yuzu as the top note. Smooth and silky texture. Finish: The crisp Japanese sansho pepper brings a little spiciness to the finish.